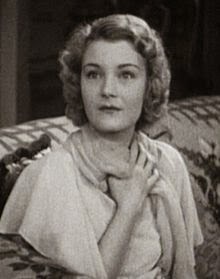 When I was a teenager in the late 1960s, I saw on late Friday evening television the 1947 British film Uncle Silas based on the novel by Sheridan Le Fanu. I loved it. Pure Gothic melodrama in good old black-and-white with a menaced heroine and a sinister foreign servant and a creepy old uncle and much skittering around in the candlelight and shadows of a large mansion. Came Saturday morning and I hastened down to the local library and checked out Le Fanu’s novel (first published in 1864). Oh the disappointment! Instead of the creepy Gothic frissons I was hoping for, I had to trudge through pages of plot-spinning and circumstantial detail and literal-minded descriptions before reaching something even vaguely resembling a shudder. I wanted goosebumps and I got the matter-of-fact expository tread of mid-Victorian prose. I was a game lad, though, so every so often in my reading life I would try another nineteenth century novel in the hope of finding that desired Gothic buzz. 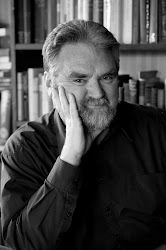 I read Wilkie Collins’ The Woman in White because I was told that, with its menaced heroine, it had much in common with Uncle Silas. (It has.) Some years after that, I went further back than the Victorians and read Lewis’ The Monk and E.T.A. Hoffman’s The Devil’s Elixirs (see my comments on the latter via the index at right) in the hope of enjoying Gothic neat. In all cases my hope was frustrated, for all these works are similarly overloaded with plot-spinning detail – much of it absurd - at the expense of atmosphere. (At this point, to be really dismal, I should note that I recently re-saw the 1947 film of Uncle Silas on Youtube and found it derivative and less than impressive. Don’t trust your teenage impressions…). And then, at last, I found the book that I was looking for. It wasn’t a novel and it turned out to be by Sheridan Le Fanu, the man who had sent me on this silly quest in the first place. The House by the Churchyard (1863), the latter of which I know only by repute. He spent most of his life in Dublin. 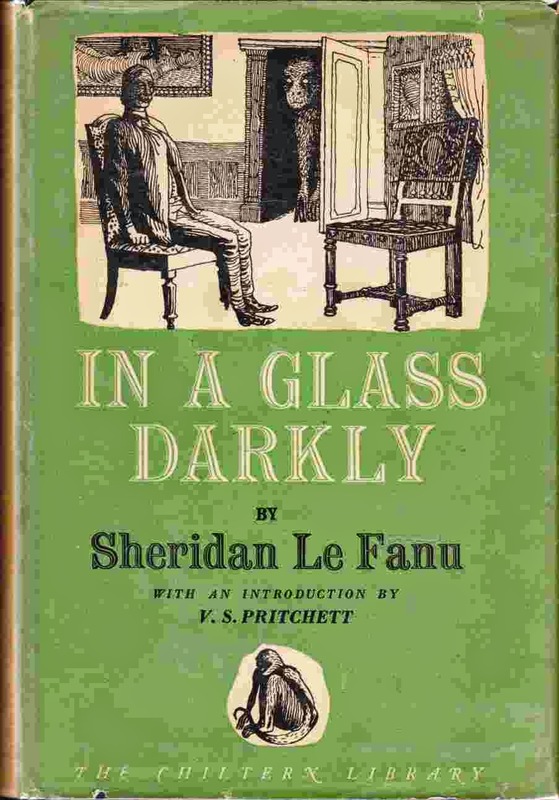 In a Glass Darkly was published the year before Le Fanu died, although some of its contents had earlier appeared in magazines. It comprises three shortish stories and two novellas. “Green Tea”, in which a mild-mannered clergyman is hounded to suicide by the apparition of a mischievous ape, which keeps him from his prayers. “The Familiar” (originally entitled “The Watcher”) in which a former sea-captain is hounded to death by the ghost of a man he unjustly had flogged to death. “Mr Justice Harbottle” in which an 18th century hanging judge commits suicide after being hounded by the ghost of a man he unjustly had hanged and whose widow he made his mistress. There are two obvious points that can be made about these stories. First, they are all essentially the same story – each involves an apparition, a sense of guilt and eventual death. Second, like Henry James’ The Turn of the Screw, they could all be read as stories of repression and conscience and the unconscious mind bubbling up to confound the rational mind, without any supernatural element whatsoever. “Green Tea” is far and away the best of them, because the cause of the prayerful Reverend Mr Jennings’ haunting is not fully elucidated – it is left to us to perceive that he has repressed his “ape-side”, his libido, which is now taking revenge upon him. Of course Le Fanu has the skill and wit not to explain this to us. Of course if he had deployed an explanation, he would have used Victorian terms for his characters’ psychological ailments because he was writing before Freud was thought of. The stories (especially “Green Tea”) work so well because they sit on that cusp of the supernatural and the psychologically disordered. Of the two novellas in In a Glass Darkly, the longest story in the collection (100 pages in the edition I have) is also the least interesting. This is “The Room in the Dragon Volant”. Le Fanu works hard to build the atmosphere of a mysterious inn, a moonlit cemetery and an old chateau, but the narrator Mr Beckett, travelling in post-Napoleonic France, ends up seeming an imperceptive twit. We, as readers, are well ahead of him in realising that there is nothing supernatural here – only a group of confidence tricksters trying to get his money by means of drugs, secret passages and an empty coffin. This could be seen as an example of the “tease” Gothic, like Ann Radcliffe’s The Mysteries of Udolpho (or for that matter J.B.Priestley’s Benighted [The Old Dark House]) in which apparently supernatural and uncanny events all prove to be trickery. “The Room in the Dragon Volant” does, however, have one genuinely scary episode of premature burial, even if that was a subject which Poe had handled earlier (and better). In fact in the whole collection only the other novella “Carmilla” (about 70 pages long) definitely has a supernatural element, which we cannot psychologise or rationalise away. 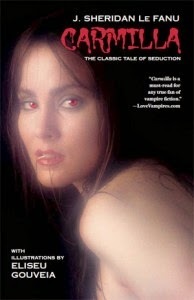 It is a vampire story set in Styria in the Austrian Empire, and told by the young woman Laura who is one of the victims of the beautiful “languid” vampire Carmilla. Like Mr Beckett in “The Room in the Dragon Volant”, the narrator is incredibly stupid and doesn’t realise that her Carmilla is a vampire, even when other characters have given her very broad hints and when she has been given a full account of an identical vampiric infestation. Laura if I were to film “Carmilla”. By the way, it is appropriate that images from Dracula came to my mind, as Le Fanu’s story was clearly a big influence on another Protestant Irishman, Bram Stoker, when he wrote Dracula 24 years after Le Fanu’s death. Now what did this encounter with a book of good shorter fictions teach me? I think I have had reinforced my conviction that the best uncanny or ghostly or supernatural tales are found in shorter works such as these, and not in full-length novels, where the reader has time to rationalise and probably to re-ground disbelief. If you want a Gothic shudder, read the short stories of Hoffman at his best, Poe at his best, Sheridan Le Fanu or brilliant one-offs like Robert Louis Stevenson’s “Thrawn Janet”. Gothic neat has to be drunk like whisky neat – in small glasses. Sensible Footnote: My copy of In a Glass Darkly was bought second-hand some years back. It was issued by the Chiltern Library in 1947 and has a very good introduction by V.S.Pritchett explaining why Le Fanu succeeds as a writer of short fiction but not as a novelist. Pritchett also nominates “Green Tea” as his favourite of the stories. I concur. This edition is worth seeking out for its introduction. 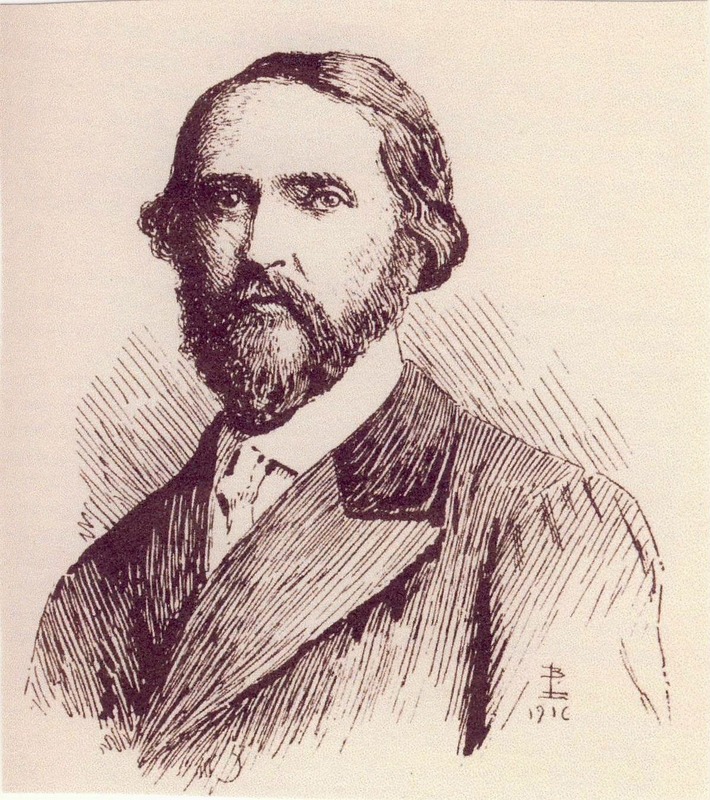 Entirely Speculative Footnote: You, Sheridan Le Fanu, are an Anglo-Irish Protestant person living in a largely Celtic-Irish Catholic country filled with peasants whose land you, or your ancestors, have expropriated from them. You cannot visit the country, or even walk the back streets of Dublin, without being aware that people were here before your people, and that bloody things were done to take their property from them. Deep in your heart, although you claim that this is your land, you know you are really a coloniser. Your conscience pricks. Something jangles in the back of your mind. Any wonder that you write so many ghost-haunted stories in which the irrational past comes to bite the rationalising present? Your ghosts are born of the history of your own people. Just a thought. Just a thought.